Antony Johnston is, as you all know, a really cool guy and a shining example of a creator who takes the time to hang out with us fans. He’s so cool, in fact, that he kindly agreed to an interview with me that I’m posting here in two parts, the second of which will be posted tomorrow. It seems like 2010 was a very busy year for you, can you do a little run-down of some of the things you’ve been up to? Well, obviously Daredevil, although I actually started work on Daredevil in 2009. But these things take a while to come out, so I think February was when Daredevil #505 came out; that was my first Daredevil. 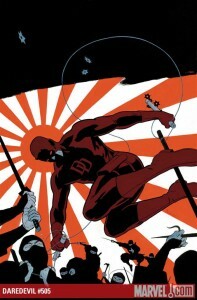 And then my last Daredevil came out in 2010 as well, so that was all over and done with fairly quickly. I also worked on a bunch of stuff related to the Dead Space video game – there was Dead Space Salvage, the graphic novel which came out a couple of months ago. There was the iPhone game that just came out, but I actually worked on that in March of last year. 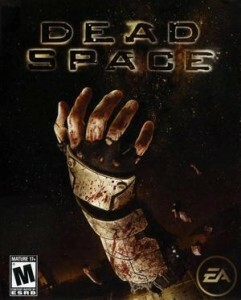 And Dead Space ignition, a downloadable game that came out in August or September of last year. I also went to Tokyo to work on a game called Binary Domain for Sega, and I continued writing my sci-fi series Wasteland for Oni Press. On the topic of video games, you work in so many different mediums and you seem to have many different projects going on at once. When you have several things going, do you finish one thing before going into the next one or work on them concurrently? It varies depending on how much I have going on. Ideally, it would be lovely to work on one thing, finish it, and then move on to the next, but realistically that doesn’t happen. I don’t tend to work one day here, one day there, I tend to work in blocks. I’ll look at my deadlines and figure out how much of a block I can put aside for a job, before I then have to start on the next one. I also try and judge how long I think it will take me to do a section of a job, and try to block out that much time for it. At the absolute minimum, I try to not work on more than one job per day if possible, although I was so busy at the start of 2010 that I ended up, at one point, working on three different jobs in one day. It was mad, and I don’t really like doing that, but didn’t have a choice because of deadlines. I do juggle a lot, but I like to keep busy and I like to work in a lot of different media, so in a sense I make a rod for my own back! It comes with the territory. On a related note, how is writing a script for a comic different from writing a script for a video game? How do you craft a world and a story for a video game? They are very different disciplines. Comics is a collaborative medium, but video games even more so. And it varies from job to job, sometimes everything is set in stone before I come onboard and all I have to do is write the script to link bits of the game together. Sometimes there’s almost no work done and they want ideas. Most of the time, it falls somewhere between the two, but – apart from writing the actual script – you’re always working with other people when it comes to the design aspects of the world and the story. There are always designers and producers involved, because it’s such a big thing and there are so many people involved, that you have to make sure everybody’s onboard and everyone knows who’s doing what. 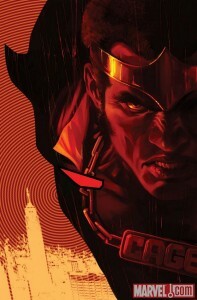 Let’s talk Daredevil. I know that you and Andy know each other and have known each other for a while. Did he just call you up and ask if you wanted to do Daredevil with him, and what was your first reaction? I think he emailed me rather than call, though I can’t actually remember. My first thought was, “Oh, that sounds interesting!” I’ve spoken about this before in other interviews, but Andy and I have been friends for about ten years now, and we’d been wanting to work together on something for quite some time, ever since Andy did The Losers. But neither one of us had had the time, and the right project hadn’t come up. Then, with Daredevil, he just told me he was up against it with deadlines, and asked if I would be interested. I didn’t realize it at the time, but of course Steve Wacker was also editing Daredevil by then, and I knew Steve from when he worked at DC. He knew me, knew my work and had read quite a few of my graphic novels at Oni Press. So when Andy suggested me as a co-writer, Steve Wacker said “Oh yeah, great,” because he already knew my work and didn’t need persuading. So that was nice, I knew I was going into a friendly environment, where people knew me and knew my work. I didn’t have to prove myself as such. Andy and I then met up at the MCM Expo in October 2009 to talk about it more, and go over plot ideas and stuff. I just kind of fell into it really. We’ve known one another for so long that we’ve brainstormed ideas just for laughs before, so at the time it wasn’t that strange an experience. What was strange was when it was announced, and the news broke, and then the issues came out, and realizing that suddenly I was part of the whole Marvel fandom thing. Before that point, when Andy initially asked me to help and we were working things out, it didn’t seem all that strange because, as I said, it was a friendly environment and Andy and I had known one another for years, so that kind of eased me into it. Little did I know! How much of Shadowland was set in stone at that point? Because, obviously, what you were doing with Daredevil tied into the bigger plot of Shadowland. I would say most of it; certainly the core book. The plot for the core book of Shadowland was probably about 90% done before I even started working on Daredevil #505. It was only the spin-offs which took a little longer to come together, as you might expect. But the core book, and the arc of the Daredevil title during the time of Shadowland, were all worked out way in advance, almost a year before it started publishing. 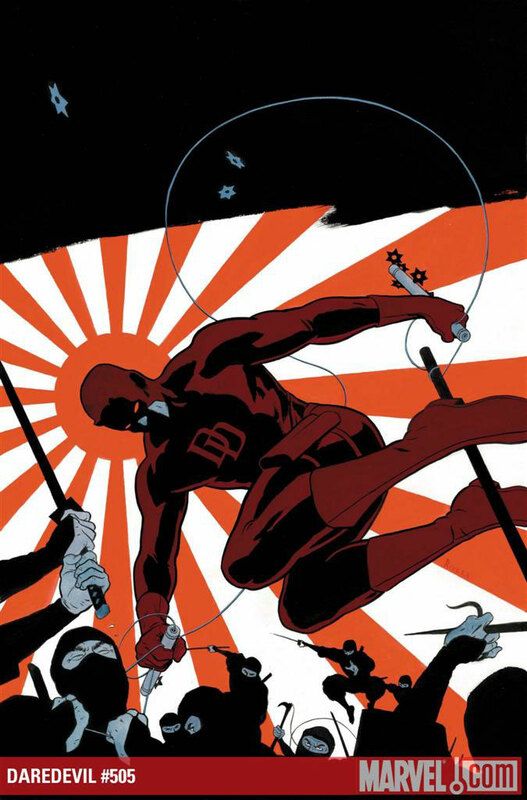 Daredevil is obviously a very well-known character, at least for seasoned comic book fans, but how extensive was your familiarity with the character and what were your feelings about him going in? 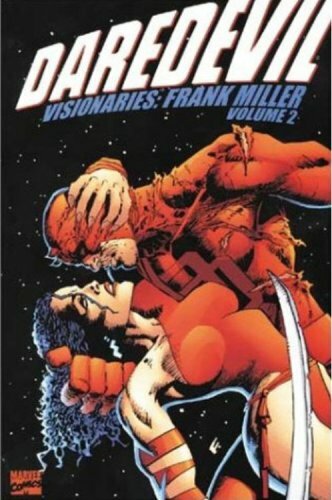 I hadn’t read any of volume one of Daredevil, apart from the classic Frank Miller stuff, which I’d read in trade paperback. Obviously, I’d read Born Again, I’d read Elektra Assassin, I’d read Man Without Fear, but that was pretty much it for that run, and that was how I initially knew the character. I had read a couple of arcs of volume two, a couple of the Bendis arcs, so I was familiar with the sort of reinvention or revamp of the character, and I knew that it had been a huge break-out book for Bendis. I kind of vaguely knew what was going on, who the character was, the supporting cast and all that, but I wasn’t a dedicated follower. I just knew enough. I love noir stories anyway, regardless of whether they’re superhero, real world or whatever, so the Bendis stuff especially was right up my alley. I knew that it was a character I could enjoy working on, and certainly that I could enjoy reading, so I’d say that was about the extent of my familiarity with Daredevil at the time. 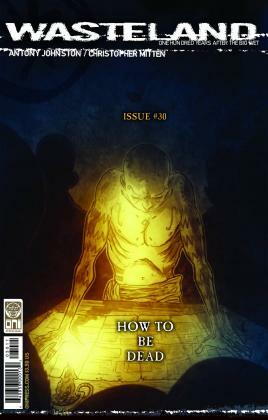 Once I got offered the job, I then bought everything of volume two and read the whole thing before I even started working on #505. I think it’s incumbent on you to do that, and become at least somewhat familiar with the character… so that if you do break the rules, you at least know why you’re doing it. It’s been my understanding that you also have a soft spot for low-powered, street-levels characters? Absolutely. I didn’t grow up reading superheroes. My experience of superheroes growing up were the Spider-Man and Incredible Hulk television shows, the Superman movies and stuff like that. I didn’t grow up reading them in comics, I grew up reading British comics which don’t feature superheroes at all. I’m another one of these British writers who find superheroes faintly ridiculous. It’s a very American phenomenon. It is, and I can get my head around it, and kind of get into it if I accept all the tropes. But nevertheless, my preference will always be for characters who don’t have at least ridiculous superpowers, those who can’t fly or shoot laser beams out of their eyes, and that sort of thing. What happens then, for me at least, is that you start running into problems with motivation. Why would someone who has these incredibly dangerous and scary powers go around wearing a brightly coloured costume and trying to rob the Federal Reserve. And then the hero has to find some way to overcome this escalation, and that’s how you end up with the Death of Superman and Doomsday. Nothing can harm Superman, so you have to come up with the most ridiculous, convoluted villain in order to pose a threat to him. That’s one of the big reasons I prefer the lower-powered characters, because you can tell better – and certainly more grounded – stories. I said this in many of the interviews I did for Blood on the Streets, that these are characters who, if you shoot them in the head, they will die. And there are a lot of superheroes running around both the Marvel and DC universes for whom that’s not the case. For me, the minute you get to the point where shooting somebody in the head won’t kill them, I just find it really difficult to relate to, and very difficult to come up with believable villains to oppose them. This is another reason I like DD; villains like the Purple Man, Bullseye, Mr Fear, and so on at have quite plausible motivations, and ways of using their powers and skills. Looking at your work on Daredevil, and starting with Daredevil: Cage Match. This was a very different story from what we usually read, which was one of the reasons I enjoyed it. Did you draw your inspiration for that from anywhere in particular, such as a story you read elsewhere or from a past Daredevil issue and maybe wanting to recreate the same atmosphere? Not really. Like I said, I didn’t grow up reading superheroes so I don’t have that kind of nostlagia for the classic Silver and Golden Age stuff that some people do. 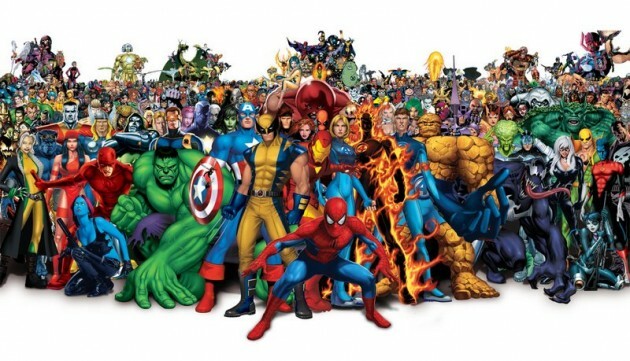 If anything, it was probably informed more by the Incredible Hulk and Spider-Man television series, and the various cartoons there have been over the years. Cage Match was one of several ideas that I pitched, and Steve Wacker chose it. Which was a wise choice, in hindsight, because it was very different from what was going on in Daredevil and the run-up to Shadowland at that time. It was just sort of an attmept to be a bit more lighthearted, and show that things don’t always have to be about saving the world or the universe. They don’t always have to be about terrible tragedy and the depths of despair. I just wanted to try something differently really – and I do like Luke Cage in that yellow shirt! Oh, I call it a tiara, don’t worry. It’s a tiara. This concludes part one of my interview with Antony Johnston. Yes, I’m leaving you with a tiara cliffhanger. Part two will be posted tomorrow and you will definitely want to check back in if you want to hear what Antony thinks of us Daredevil fans, and what he has to say about his work on Shadowland: Blood on the Streets and Shadowland: After the Fall. 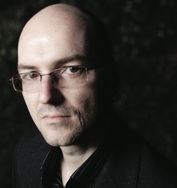 Make sure to check out Antony’s website for his ongoing projects and to learn more about his writing process. UPDATE: Did you miss Daredevil: Cage Match? Read it for free online via Marvel’s Digital Comics service! And, click here to read the second part of this interview. Great interview Christine! Looking forward to part two! I’m pretty sure that the tiara has been mind-wiped from everyone’s memory.